Hailey is the subject specialist and liaison to the Department of Psychology, the Department of Sociology, and the Interdisciplinary Program in Organizational Studies. 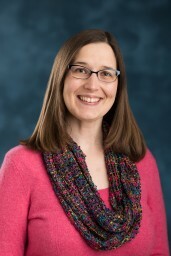 She provides support and assistance to students, faculty, and staff in all aspects of research including finding and accessing materials, classroom instruction for library research, and purchasing items for the library collection. Please contact Hailey to ask a reference question or schedule an in-depth reference consultation, request classroom or small group instruction, or to request a purchase in support of psychology/sociology teaching and research. Schedule a research consultation appointment through Hailey's online calendar, or email directly for assistance. Request classroom instruction, online modules, a custom electronic library research guide tailored to class assignments, or small group instruction for research teams. Suggest materials for purchase: books, journals, films, databases, datasets, etc. Assistance navigating all available library services and collections.